Unlike other bases, which start out basically a soft white, Powder River yarn starts as a lovely two-ply of soft, natural colors (camel and soft gray). The colorways translate into wonderful gray tones of the Red Barn Yarn colors, creating a totally different palette from which to work, and knitters will love the lofty, soft hand of this Mountain Merino and Alpaca blend. Each skein of this dk weight yarn has 260 yards in 3.5 oz, presenting plenty of yardage for use in a variety of projects. A perfect one skein project is Jill Wolcott’s Limestone Scarf, available as a Ravelry download. Just click here to purchase the pattern and add it to your Ravelry library! 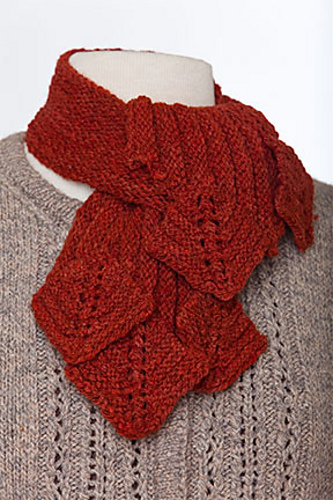 In the current issue of Love of Knitting (Fall 2014), you’ll find the Letterman Scarf, by Jennifer Burt. The sample shown above is knit with Chambray and Water Sapphire. Choose a pair of team or school colors, or your favorite color combination and cast on today! Of course, you don’t have to take our word for it! 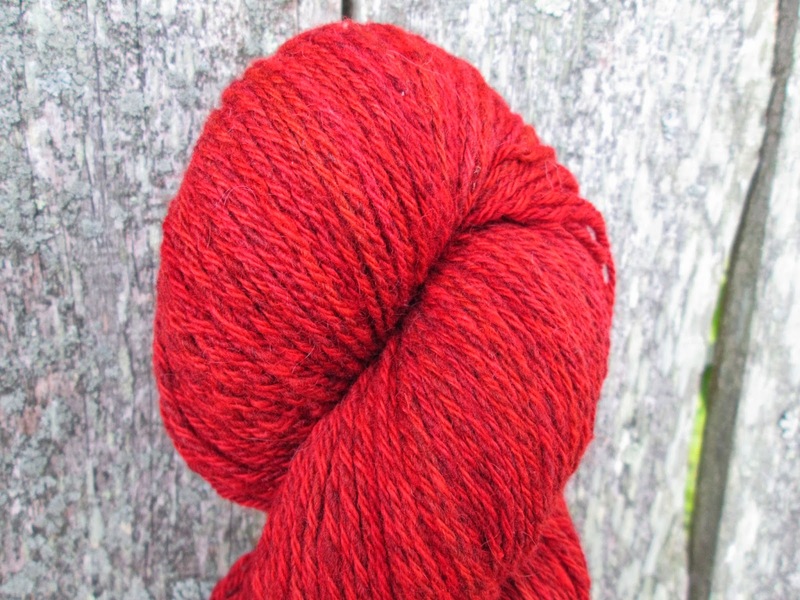 Recently Stephanie, of Hot Pink Socks Reviews, took a closer look at Red Barn Yarn Powder River and shared her review on her blog. 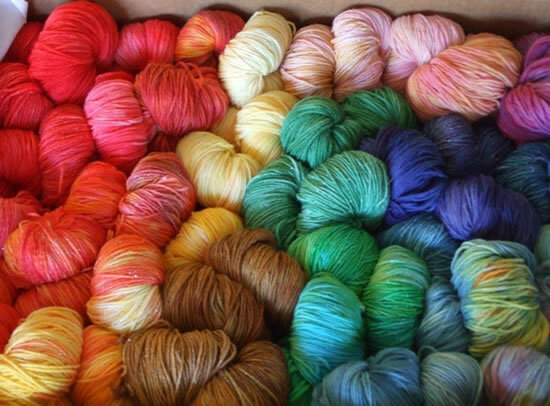 We’d love to hear your thoughts in our Ravelry group or on our Facebook page. 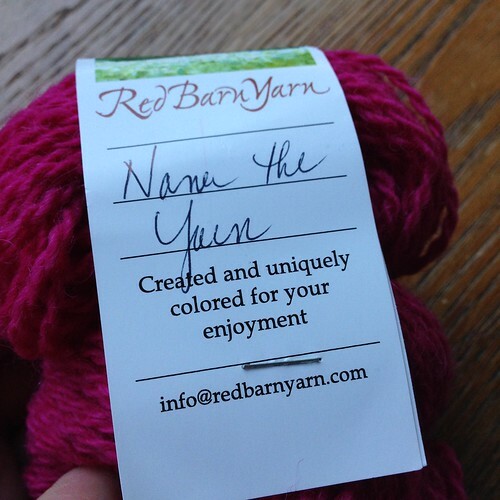 If Red Barn Yarn Powder River isn’t available at a store near you, please contact info@redbarnyarn.com to purchase directly.